It was a big weekend in the our household. 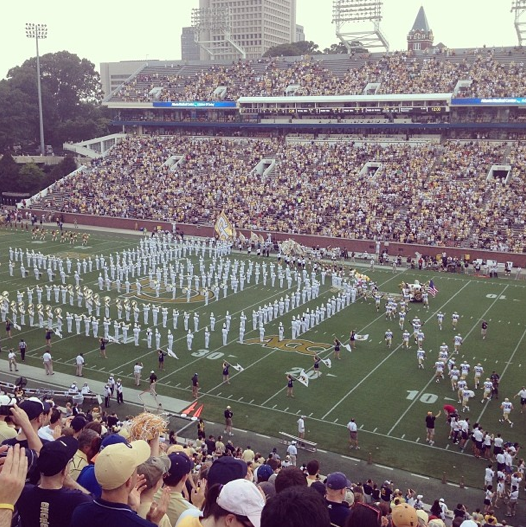 We saw the Yellow Jackets go 70-0 on the Flats (an ACC record, woo!). We yelled "War Eagle!" virtually via our laptops while we watched a big Clemson late-night win over the dirty dogs (note the correct spelling) on TV. 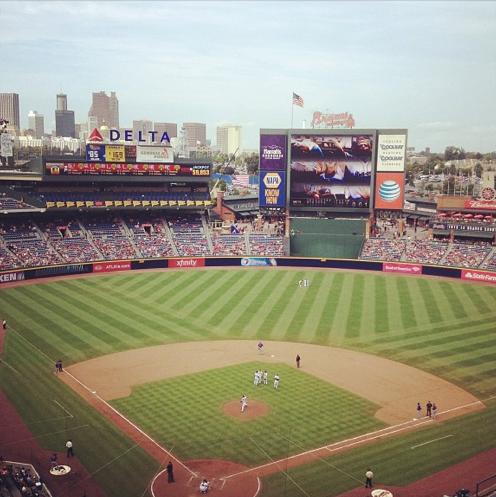 Then we did the Tomahawk Chop not once, but twice, at two Braves games. Whew. To say we are sports-ed out for a few days would be an understatement :) But what fun it all was! We loved seeing our friends and family and so many great games. We are now going to rest up and then do it all again, albeit on a much smaller scale, with the next GT home game in a few weeks. By then, the leaves will be starting to turn. Cool weather or not, Fall is here, y'all, and I couldn't be happier. Well, ok, truth be told, I could be happier. Since the wedding, we have enjoyed a Summer full of leisure. Social gatherings, drinks and amazing food. Thinking back to April, when we were both a bit maniacal about healthy eating and working out, it's no big surprise that neither the hubs nor I have been feeling "great" these days. In fact, after this long holiday weekend of food and festivity, we both felt a bit physically exhausted and ready for a serious jolt of nutrition. We have both been struggling with motivation to get back on the healthy train. Attempts to workout have been halfhearted, at best, and while we've tried to keep meals mostly standard-issue healthy, we have slipped up with enjoying more desserts, snacks and adult beverages than usual. Now that the hubs is heading back to classes a few nights a week, we both need something to hold us honest to eating right and working out, whether solo or in tandem. Enter our own personal Biggest Loser Challenge. We have always loved that show, and figured it's time to star in a version of our own. We set our individual goals, took our initial measurements, and each have our own approach to tallying up a "win" at the end of 90 days. While we did set a fun little "prize" for the winner, we both agree that it'd be awesome if we just both hit our goals. For me, I think this might be my ultimate 30th Birthday present to myself. 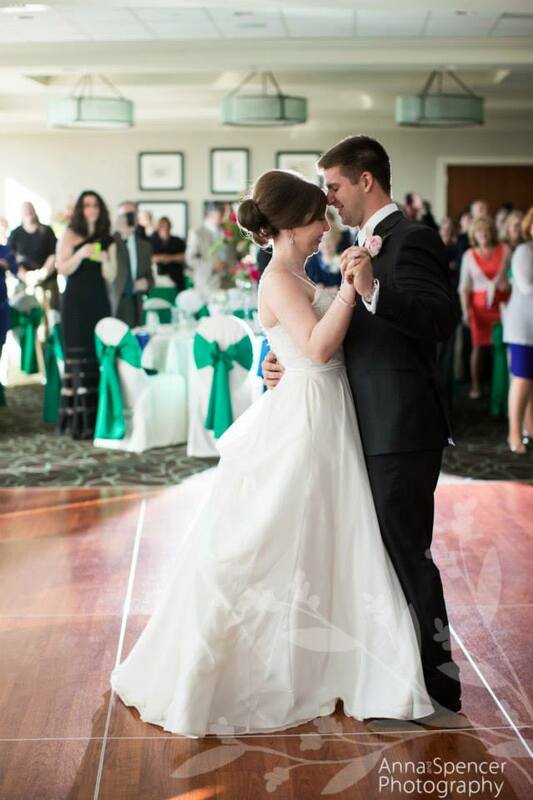 What the wedding did for us in April, we'd like for this Challenge to do for us as we head into my 30th year, and continue with our first year of marriage – be at our physical best and enjoy life that much more. We designed this Challenge just for us, so while I won't be publicly sharing updates, I am going to continue to share our new favorite healthy recipes and workouts and activities. After all, it's not just a number on the scale. It's a full-person approach -- body and mind! What an awesome idea to get motivated! I am definitely motivated by how I feel overall, and let's just say this move hasn't left me feeling 100%. Now that we are somewhat settled, I am looking forward to challenging myself to get back on track! Best of luck with your challenge! Hi! I'm new to the blog and I love it! Have you heard of the app Mapmyrun? I've been using it to, literally, map my runs, haha but it also invites you to join challenges with others around the country. Everytime you log a workout, you can be entered to win prizes, etc. It's a pretty fun way to stay motivated and know that others on the app have a similar goal as you! It might be worth check out :-) Good luck with your challenge! Adrienne - moving and travel is so tough! Good luck as you get back into the swing of things here. Kristen - welcome! So glad to have you here :) Map My Run is so great! I also use Daily Mile here and there - mostly just to help myself remember what I do and when. But the Map My Run one with prizes sounds awesome ;) Thanks for the tip!